"After an early career as a specialist furniture painter I trained at Colchester School of Art, after which I continued to learn scultural techniques with Miles Robinson in Suffolk. I live and work on an organic farm near Colchester and find inspiration in the history of this medieval settlement. 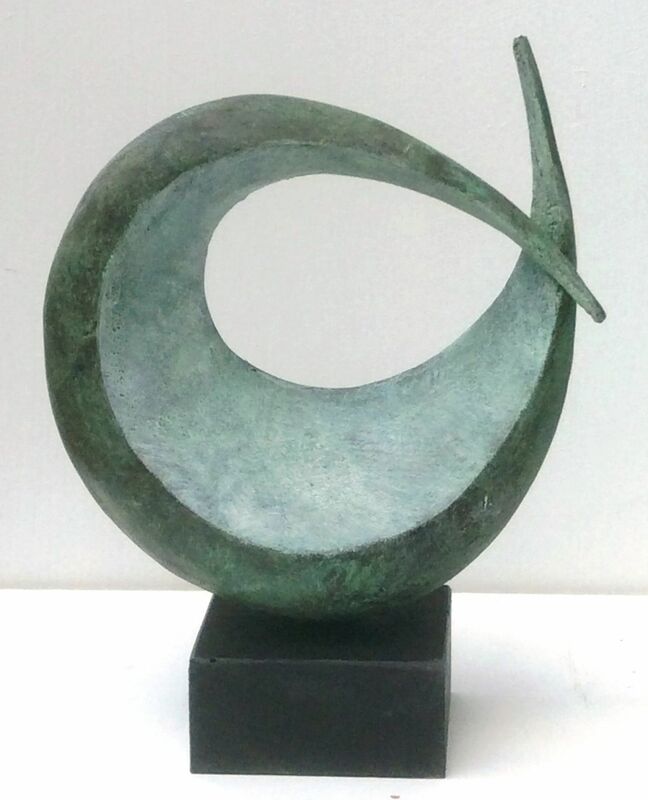 The surrounding landscape, found objects and the cyclical continuity and balance of nature have moulded my creativity for thirty years and hese are key sources of my inspiration, influencing the flowing sculptures which evolve into birdlike or botanical forms reduced to simpler, abstracted ideas." Art in the Garden, Wiltshire.